The condition of a garage door often becomes worse with continuous use. It may begin to give problems, go low on insulated power and eventually, consume too much energy! Professional help is the way out if you are noticing any of the above symptoms in your garage door. To get your doors inspected at the earliest, call ASAP (732) 322-8877 – our door installation and repair experts will personally visit your homes and formulate the most reasonable solution within your budget and requirement. If you need garage door repair services in the Asbury Park area in New Jersey, your search ends with ASAP Garage Door Services. We secure huge reputation for being one of the oldest and most experienced companies in the industry. Unlike how most garage service providers function, we at ASAP Garage Door Services don’t work with sub-contractors and have our very own teams of trained and highly-skilled garage door technicians. 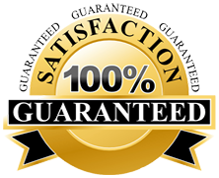 We testify the quality of our services by the level of your satisfaction as a customer! Our expertise is in almost all garage door-related repair works, including repairing broken springs, broken cables and noisy doors. Also, we install wireless remote openers, wireless keyboard openers, panels, weather sealing and stripping and new garage doors. We are probably the only garage door service provider company in the Asbury Park area that works 24X7 and offers flexible work hours depending upon customers’ requirements. Our technicians will work day and night or in the weekends or any point of time that suits you. You can give us a call at 732-322-8877 for all kind of garage door part supply, repair, part installation and complete door replacement service at you residential or commercial property in Asbury Park (07712), NJ. For a free quote, you may also fill the no-obligation online form and we’ll call you back soon! This entry was posted in Asbury Park on July 15, 2013 by admin.